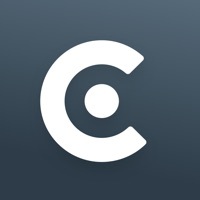 Caviar Courier is the app for couriers who deliver food orders on a flexible schedule and want to get paid instantly for each delivery. Sign Up — Sign up to deliver with Caviar, and within a day you can be out on your first delivery. You decide whether, how, and where to deliver on your own schedule. 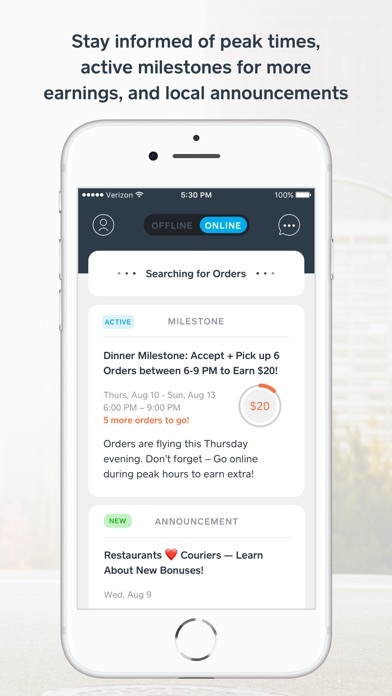 Earn — Couriers earn money by picking up orders from restaurants and delivering those orders to customers. 100% of customer tips go to couriers. 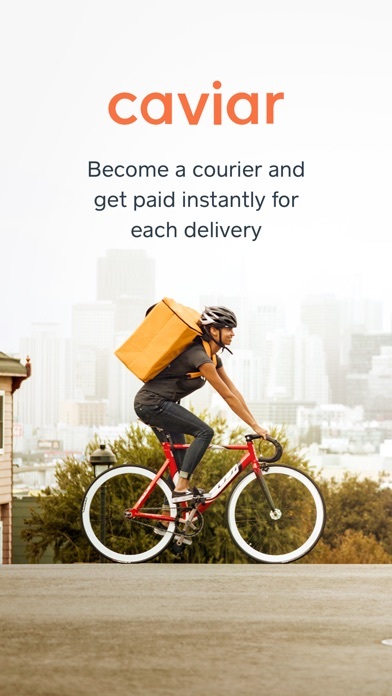 Couriers can earn more money by achieving milestones. 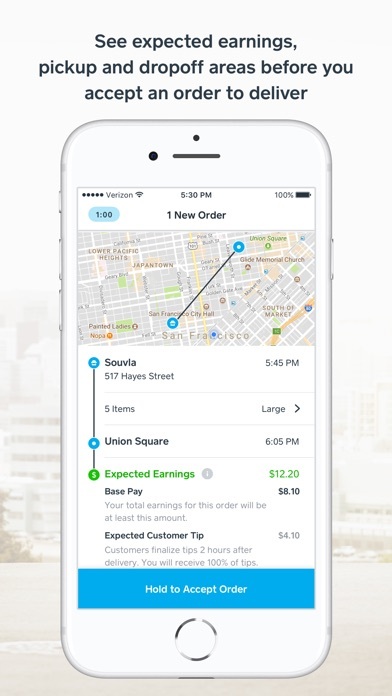 Get Paid Instantly — Yes, instant. Sign up for a Cash App account, sync your info with Caviar Courier, and you’ll start receiving all your payouts in Cash App. 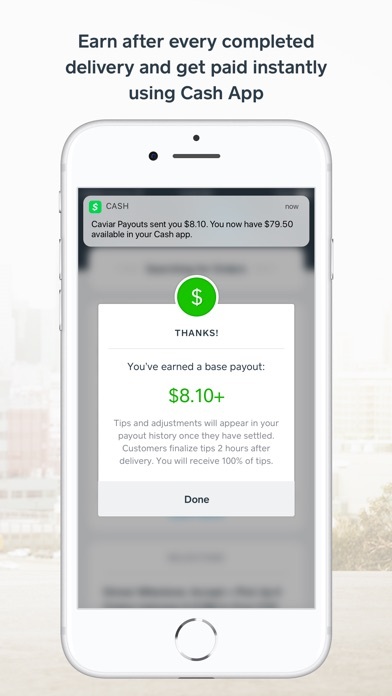 With the Cash App and Card, you’ll be able to spend your earnings almost as quickly as you earn them. Receive Support — Have no fear! Our courier support team is by your side to help you through the day. Easily start chatting with a live agent who can help resolve order issues or answer any questions you may have. Refer Friends — Have friends with spare time? 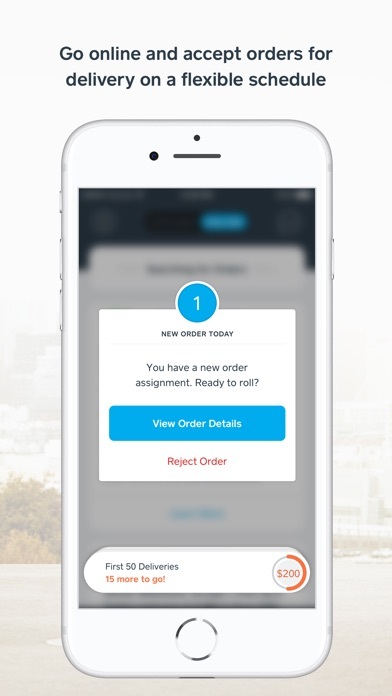 Send them referrals and earn bonuses once your friends start delivering. Working with Caviar is great!! I love the freedom. The pay is ok once you learn how to do the job efficiently, with great bonuses. Good live chat support & good app. You can make this a stable part time/full time job, or just use it for extra side $$$. Its fun to explore your city and get to know cool local restaurants. I’m an artist so I need extra income. Been with Caviar a year and the pay continues to go down. I live in SF so volume is high, but the bonuses never seem to come, they route bikes as if we have engines, poor support team, glitchy app, ever changing pay. Basically this a type of ponzy scheme of referring new recruits There is no incentive to get better at the job as raises, seniority, competence is not valued or rewarded here. Couriers have no metric on their performance to even getter better. It’s simply plugging holes in the employment turn over with the cheapest version of a worker. The algorithms used can easily produce whatever average pay they want a courier to have the whole network wide. All the while the pay scale shifts around daily, the bonuses dip and dive. This drought and “deluge” cycle conditions the mind to chase more feverishly and agree with whatever crumbs given. Our actions are being dictated by an impersonal algorithm that keeps in mind it’s bottom line only. It does this flawlessly and the needle on our income ticks down over time. The economic chasm between the couriers and the customer widens and the courier slides ever deeper into their preordained lower cast in society. The courier drives around after the dangling carrot that is always just over the horizon. Escape from the belly of the tech ghost ASAP! Company is falling off. Little demand. Cheap rates. Less and less milestones. Terrible impersonal support. Lazy people who take forever to reply to emails. Its good for part time.it needs to update app.i have to restart the app in order to accept every single order request. Since the last update , the app doesn’t show expected tip anymore. The app itself is great. Slowly improving the functionality of the app takes time but pays off big time. All goes through a process before being finalized. Well thought out ahead of time to make things easier and more streamlined. Love it!